We have all wanted to learn new skills like painting, singing, playing an instrument as an adult when we do not have the luxury of attending series of classes or the 10,000 hours as claimed by several. It is not so hard and even some life skills like swimming, driving can be learnt in as low as 20 hours. In this post we discuss the method for acquiring a skill at an amateur level at the shortest possible time. A clearly defined goal is the starting point of the journey. Don’t start with more than one skill or goal. Eg: 1) To be able to type 60 wpm using a qwerty keyboard with not more than 3 mistakes. 2) To be able to do a portrait sketch in pencil with reasonable semblance. 3) To be able to play ‘chinna chinna asai‘ song in my keyboard with correct tempo and tune. You can always build upon your knowledge sequentially, but it is important to do it only one at a time. Once you have reached your goal, you can give yourself a tougher goal in the same skill, or move on to a different one, as you choose. Let us also address, motivation issues here. Learning a skill is hard, a goal with a purpose often works better than learning for leaning sake. For Eg: I want to learn conversational Gujarati so that I can talk to my fiance’s parents when I meet them in 5 weeks works better than I want to learn Gujarati. 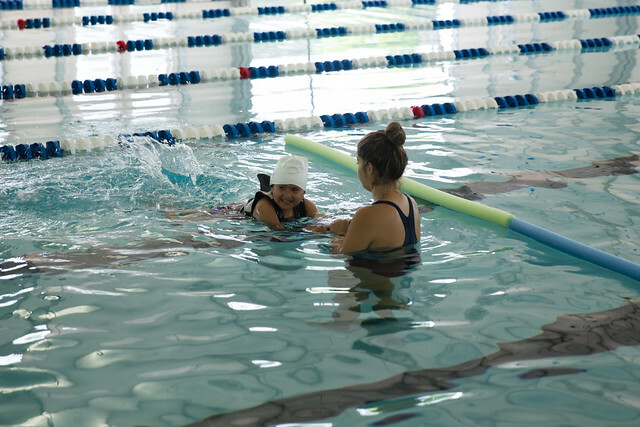 You may have noticed swimming, driving classes for absolute beginners are for about 20 hours in general. In 20 hours they are able to take you from someone who has never been inside water to be able to swim reach from one end of the pool to another, or in case driving as someone who has never been on driver seat to be able to handle from the highways to the chaotic Indian roads. Josh Kauffman in his research as found similarly that learning any skill can be done in 20 hours. You are by no means going to come out the other side as the next Michael Phelps or Michael Schumacher but would have learnt just enough to survive the roads or the water. So from about 10 + components we have identified key components that we will focus on for our 20 hours of learning. For critical skills like swimming, driving etc which can endanger your or other lives when not practiced properly, it is preferable to have a trainer or atleast an experienced person around you while practicing. But for all skills, it is beneficial to have a trainer, who can provide good feedback and prevent you from practicing incorrectly. But professionals can at times impart incorrect/non-beneficial industry practices that does not suit your lifestyle or goal. You may notice that your driving methods resemble a lot to the person you have learnt from. So choose your trainer well. In pencil sketching, the learning would start with choosing the right HB Pencils, holding the pencil, lines and then shades. Similarly in swimming, one has to learn to float to be able to get over the fear of drowning, then combine it with learning of hand, leg movements and breathing to be able to swim. Each of this can be identified as a sub skill and learnt and until it is reasonably mastered. Visualizing that you have failed and to find out reasons for failure is one of the easiest ways to find out where we may fall before we even start. Pre-mortem your result and identify the weak links that may have caused you to fail and account for them in your practice. You may be too lazy to pull the guitar out to practice, put a stand near your favorite chair. Your partner may get too busy to practice salsa, find an alternative. You’d be too lazy to follow through and finish lessons on your Gujarati, schedule the sessions with your tutor and pay for them ahead of time. You think you might put off learning cooking again – Invite your friends over a home cooked dinner at a scheduled date. Websites like StickK can really help you in sticking to your commitments. This is the most important stage of the learning, where the initial enthusiasm of learning a new skill can quickly get replaced by the frustration of not making a progress fast enough. This is why the purpose of the goal that we mentioned in planning stage is very important. While our tactics will help you get through it in record time, it is still going to be frustrating and will need the purpose powered willpower to drag you through. Short spurts of learning (say 20 mins) before and after your bed is the most efficient time for you to learn. While this can be definitely used for learning a musical instrument, language, typing etc it can understandably be difficult to learn swimming or windsurfing if your practice area is not in your vicinity or if the industry only provides standard slots like flight log or scuba. Go for the next best alternative. This might sound contradictory to the high stake target we set for ourselves. But it is not. For practicing set up a low stakes environment where you can fail without hurting yourself much. Start swimming in shallow waters, practice uni – cycling or bare foot running in soft grass, practice the new language with non-critical native speakers, try rope walking at a lower height or trapeze with the nets underneath. 20 hours is not a lot of time. Most of us might watch more TV than that in a week. But this 20 hours may seem excruciatingly long, while practicing and miserably failing along the way. But do it anyway. Have sub goals and timeline for the sub-skills that you have to develop and allot a time to integrate them. This will be no different than assembling a car, while each part that goes into making the car is quality checked on production or purchase, assembling it together will also take time and due steps need to be followed. Keep realistic timelines for your sub- goals and measure your progress against them. Seek feedback and help as required to adjust your process and routine to help you get to the finishing line. I was tempted to leave this part, but it surprised me how many people mentioned this as one key part of learning that I couldn’t help but putting this in a separate section. Over 70% of the body is comprised of water and water play a huge role in helping to regulate nervous system and brain function. All the learning experts swear by the need to hydrate oneself well while attempting any learning exercise. Regular exercises benefits your brain as much as it benefits your body. A fit mind in a fit body. So lace up and get going. Previous Previous post: Why to break your routine for one day?